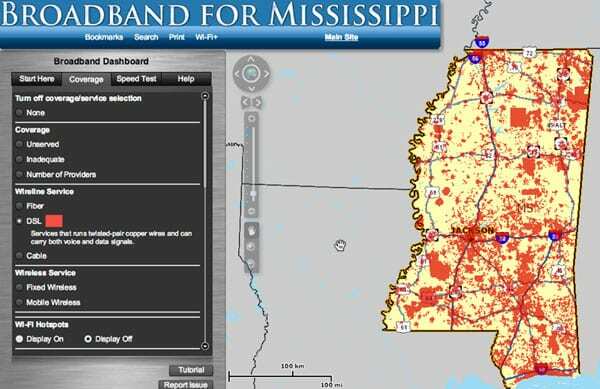 The Taxpayers Protection Alliance (TPA) foundation, a nonprofit funded by several Koch-supported organizations and the telecom industry, warns of the dangers of using bonds to fund Mississippi’s new Broadband Enabling Act. On January 30, 2019, the Mississippi Broadband Enabling Act was signed into law by Gov. Phil Bryant. It passed the House with all but three votes and passed the Senate unanimously. The legislation is meant to address the lack of access to high-speed broadband internet in almost all the rural parts of the state. “It allows the state’s 25 electric cooperatives to offer rural broadband internet to their customers. Those cooperatives, all under the umbrella of the Electric Cooperatives of Mississippi organization, serve about 1.8 million Mississippians,” according to the Jackson Free Press. A 2018 study found that Mississippi ranks 49th among US states in internet coverage, ahead of only Montana. In December, the US Department of Agriculture launched a broadband infrastructure program to provide $600 million in loans and grants to rural areas. These loans and grants are essential to the funding of the Broadband Enabling Act because the law has no funding from the State of Mississippi. A lawmaker from Natchez, Rep. Robert Johnson III, voiced support for using public financing for the project while electrical cooperatives are applying for federal broadband infrastructure grants. Johnson floated the bond proposition as a means to accelerate construction. The TPA purports to protect taxpayers, claims to be nonpartisan, and asserts that they are dedicated to “educating the public through the research, analysis, and dissemination of information on the government’s effects on the economy.” On the face, the TPA’s mission is that of a nonprofit working for the public good. However, it takes very little research to discover that the overwhelming majority of the organization’s income stream and messaging comes from industry. TPA has received ongoing funding from the Internet and Television Association and the Wireless Association (which also supports the Mercatus Center, which supplied the TPA’s expert article). Freelance journalist Jay Cassano writes on Medium that TPA “has a recent history of being a conduit for the telecom industry’s positions to the general public.” According to Pew Research Center, text originating on TPA’s website accounted for “the most popular anti-net neutrality comment submitted to the FCC.” Americans for Job Security, a Koch-backed organization, gave $1.1 million to TPA in 2011 according to tax filings. While the program has strong support, it faces numerous challenges, from being $100 million over budget and behind schedule to an inability to secure right-of-way. Kentucky State Auditor Mike Harmon has lambasted the program, saying it places too much financial risk on taxpayers and established unrealistic timelines for completion of the project. Portions of the financing package are dependent on revenues derived from an operational Kentucky Wired that may further add to the programs short-term financial woes. In North Carolina, following on the heels of legislation passed in Mississippi earlier this year, 34 state legislators have cosponsored a bill that would enable the state’s 26 electric co-ops to use existing fiber optic cables to deliver high-speed internet to rural residents.